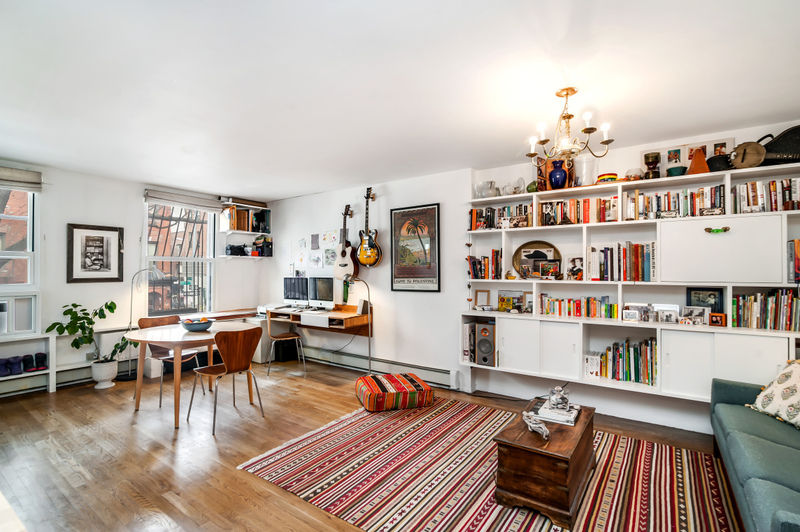 It seems like you can’t find anything in Williamsburg for less than $1 million these days, but here’s a condo that’s priced just below seven digits. 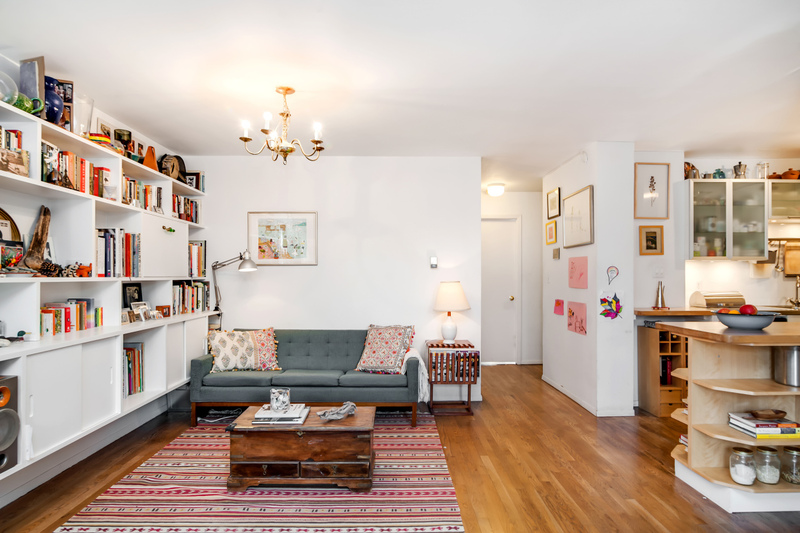 This two-bedroom unit at 211 Berry Street, an older condo complex in the neighborhood that’s been slapped with a cool name (Northside Condo), has got a price tag of $995,000. 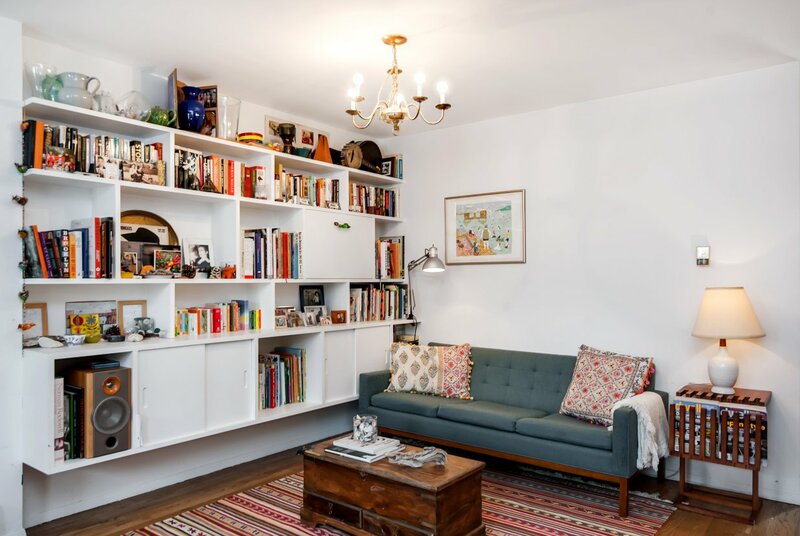 This is not one of those North Brooklyn loft condos with a pool, roofdeck or resident lounges, which accounts for the lower price in the central Williamsburg location — it’s located right near the main drags of Bedford and Metropolitan avenues. 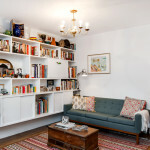 There’s an open living and dining room flanked with a built-in bookshelf that offers lots of creative storage space. 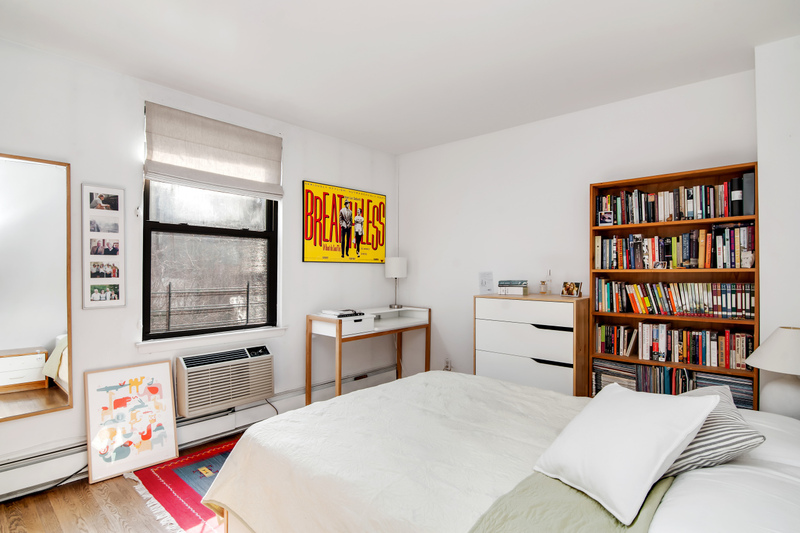 Windows on this ground-floor unit look out to the street. 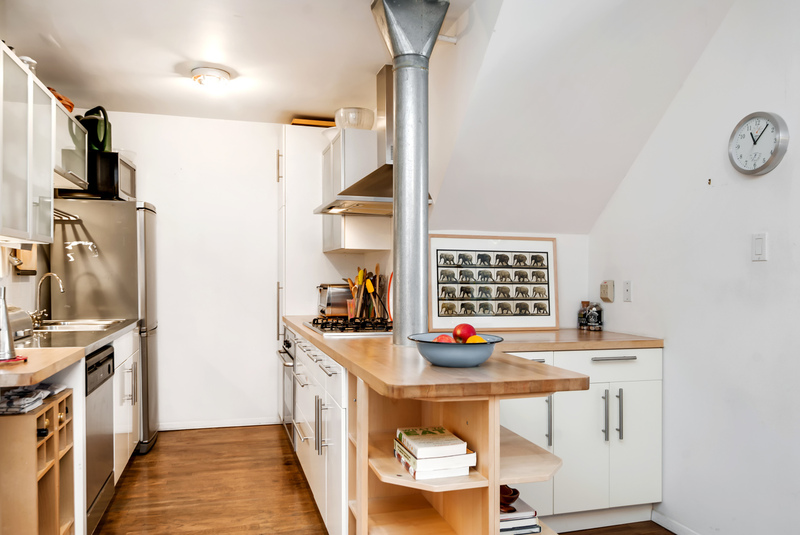 The totally-open kitchen is located in a nook off the living room. 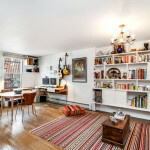 It actually looks very well designed — there’s an area of cabinets separated from the rest of the kitchen by a mini bar (maybe that’d be a good corner to keep your booze? 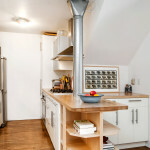 ), and the rest of the kitchen looks very streamlined, without wasting any space. There’s enough room for a dishwasher and some extra storage though, where the current owners are keeping a wine rack. 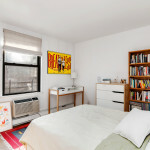 The master bedroom is spacious enough for a wardrobe and big bookshelves. 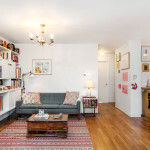 In fact, throughout the apartment, the size feels about just right — nothing too sprawling or huge, but nothing very cramped or claustrophobic. In a word, it feels comfortable. 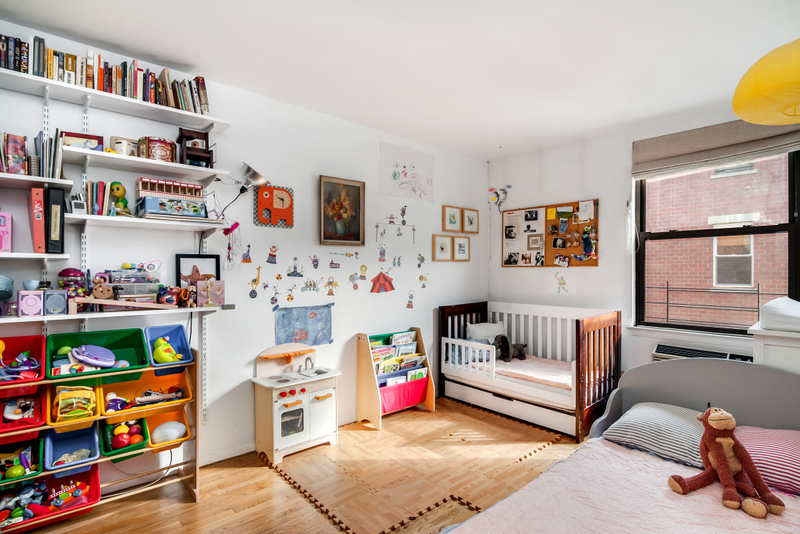 The second bedroom can accommodate both a crib and small bed. It doesn’t look like either of the bedrooms face the street, but neither are coming with particularly good views. (This three-story building is part of a row of other low-rise buildings, which is practically an oddity in a neighborhood now dominated by condo towers.) Views, of course, aren’t everything, especially when it comes to snagging a lower-priced, two-bedroom condo in an in-demand neighborhood. Our guess is that it’ll be gone in no time.